This documentary was produced in Toledo, Ohio, over a year and a half, starting in Spring 2002. “Addict” examines the life and struggle for sobriety of Todd Crandell from birth to present day. The scope of the film covers his childhood, the failed promise of a hockey career, his descent into the abyss of drug and alcohol addiction, and his climb to independence. 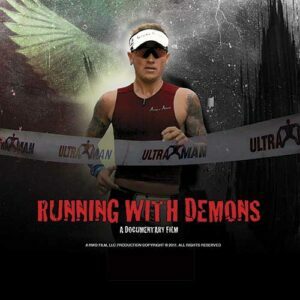 It also looks at his participation in the Ironman Triathlon’s grueling 2.4 mile swim, 112 mile bike ride and 26.2 mile marathon run. 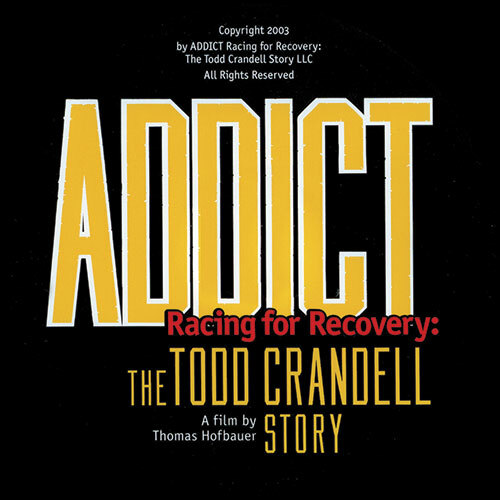 In this documentary we’re introduced to Racing for Recovery™, Crandell’s non-profit organization whose mission is to help prevent drug and alcohol abuse. This moving film features interviews with family members, Crandell’s high school hockey coach, retired professional hockey player Patrick Jablonski, friends and Crandell himself telling this amazing and riveting story of his fall and rise. The premiere of “Addict” was a tremendous success with close to 450 witnessing this riveting and motivating film. “Addict” will now be shown in various cities across the country to help spread the mission of Racing for Recovery™.